This doodle is done on a page of a book that was sitting on my shelves for quite a while now. 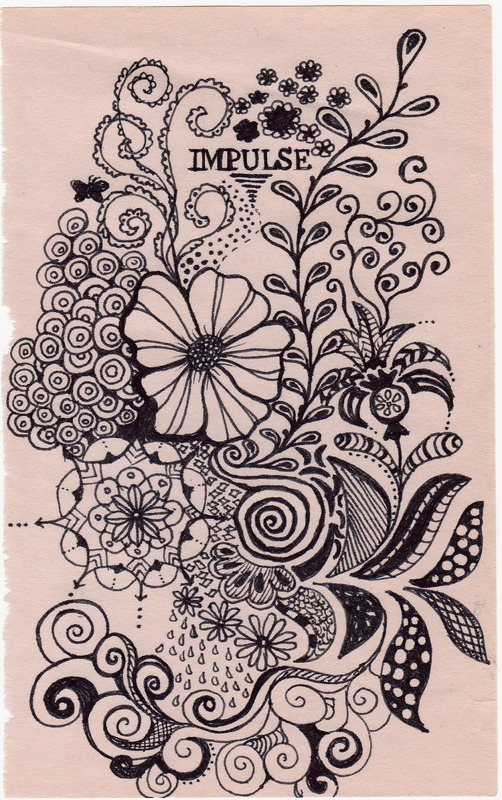 "Impulse" was printed on the page as it was the name of a section of the book that I read a few years back. That book got passed on to a few friends and they read it too, so now it is quite worn out and the pages are almost falling off! After thinking that It is time for it to be sent to the recycling, I decided to use the pages for my doodles instead. I figured cause I am not thinking of ruining a good piece of paper, my drawings and doodles can get looser, plus I like that the pages are not white. As always, I was really disappointed with the drawing at the beginning but as it progressed love grew. 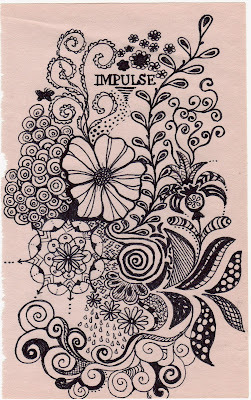 3 comments on "Flower Doodle - "IMPULSE""